Individual Coffee Sense Coffee Pods for use with ESE Espresso coffee machines that use 44mm coffee pods. Ethiopia produces some of the most unique and fascinating coffees in the world. The three main regions where Ethiopia coffee beans originate are Harrar, Ghimbi, and Sidamo (Yirgacheffe). 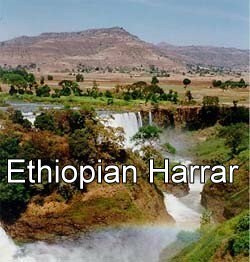 Ethiopian Harrar coffee beans are grown on small farms in the eastern part of the country. They are dry-processed and are labelled as longberry (large), shortberry (smaller), or Mocha (peaberry). In the best Harrar coffees, one can observe an intense aroma of blueberries or blackberries. Ethiopian Harrar coffee is often used in espresso blends to capture the fine aromatics in the crème. Flavour: Very very sweet coffee, notes of berry, malt and wonderful earthy tones. Aftertaste: Somewhat short, but very pleasant!